Devotees honor the kirtaniyas and their instruments in a short and blissful ceremony as performed by Narottam das Thakur. This adhivas is organized by the Mayapur Chandras, a group of gurukula graduates brahminically trained. They travel around the world teaching traditional kirtans and pujas and regularly lead devotees in ecstatic parikramas around Mayapur. February 28th to March 4th: Akhanda kirtan with world leading kirtaniyas - 10:00 a.m. to 10:00 p.m.
Nocturnal kirtans as per the assembled devotees desire, up to mangal artik during every day of the mela. ... Prabhupada stated that all the devotees in the world should come to Mayapur and constantly have kirtan. 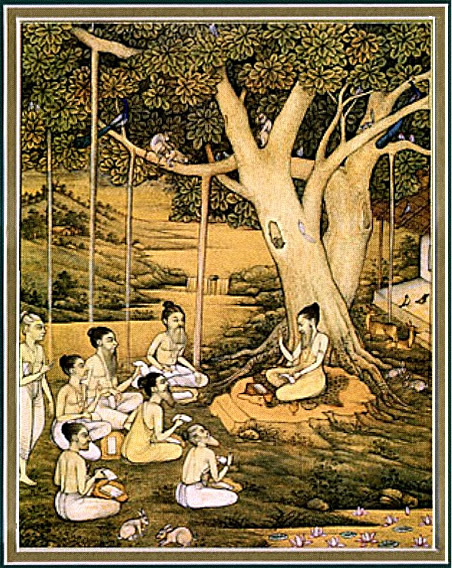 He was very blissful as he told them of Bhaktivinoda Thakur's statement that he had searched the fourteen worlds but found nothing of value except the chanting of the holy names. Srila Prabhupada said that this was Mayapur's purpose, to come and chant. "We may have problems in different parts of the world, but they will go away if we simply come together and chant. Lord Caitanya always chanted and we could do it also. We now had a big building in Mayapur, so everyone could come and live there and simply chant." In the same mood, modern sages, vaisnava followers of Srila Prabhupada gathered in Germany from Aug 30th to Sept. 4th for an akanda kirtan, in hope of bringing real peace and prosperity to the world having pleased the Lord by chanting his Names. Eight hundred to a thousand devotees committed to a minimum of 8 hours a day of chanting, thereby creating an atmosphere that is better felt than described. There were an additional 6000 to 7500 views on Mayapur.TV daily often with over 500 viewers at one time, many using the chat to express both their chanting and their joy. It was an ecstatic experience that kept many awake transcending their respective time zones. As far as Mayapur kirtan culture, it was HH Tamal Krishna Goswami's strong desire to see it be revived in Mayapur. He took it upon himself starting with kirtans in his room and later moving into the temple room. 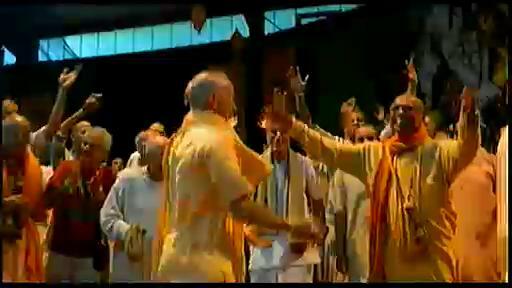 The first day of the 1st Mayapur Kirtan Mela, February 22nd, was dedicated to his memory. Since his departure devotees have kept the tradition under the banner of Holy Name Abhiseka during the first days of the Mayapur Gaur Purnima Festival. HG Aindra Prabhu would annually travel with his personal kirtan group from Vrindavan to attend. Gopal Prabhu from Vrndavan 24 hour kirtan would personally set up and manage the festival for several years prior to 2012. Holy Name Abhiseka expanded into 4 -12 hour kirtan days initially and now, for 2013 into 5 days and 5 nights of uninterrupted kirtan.. It became our desire that Mayapur, being the center of the Sankirtan movement, its birth place, should host such a mela not merely once but yearly around Gaura Purnima time. Due to your interest and ultimately the well wishes of guru and sadhus, such a mela has been scheduled for Feb 22-25 2012. Special arrangements are made to facilitate the blossoming of our latent attachment to the chanting of the holy name. We are dealing with the most powerful weapon against illusion. This time the mela is taking place in holy Mayapur wherein all spiritual activities are enhanced thousands of times. Expect miracles. Participation is a must for attainment of the desired goal. Kirtanyas are encouraged to speak a few realized words on the holy name before starting to sing. In this way they are not only expected to lead us in chanting but also in our realizations and spiritual growth. Continual serving of prasad to avoid kirtans interruptions. What does not happen at a kirtan mela? No other activities are to take place in the kirtan area (i.e. garland making, drawing, sewing, japa … ). Only chanting and dancing from the heart. (Exception made for broadcast and sound crew.) No clapping or cheering as though observing a performance. No flash photography or videography that can distract our already fickle minds! ... Mayapur is again peaceful. Most of the pilgrims have returned home, many of our devotees have left, and work has recommenced on the new building. Prabhupada was sitting quietly in his room, relishing the blissful atmosphere created by the melodic Bengali kirtana floating out from the temple room below. He told us the chanting is the only solace; it is nothing material. He even suggested that five hundred men at a time could come here to Mayapur simply to chant. Maha Harinam Yajna, Kirtan Mela ki jaya! Hare Krishna maha mantra, yuga dharma ki jaya! Param Vijayate Sri Krishna Samkirtanam! indeed since last year we have been organising hours of kirtan under teh banner of kirtan mela and am very happy to read this article which gives me more idea and insights for improving locally.. kirtanya sadahari..
param vijayate sri krishna sankirtanam! This sankirtan movement will be glorious. hare krishna, wow 8 hrs continous chanting & continous 12 hrs kritan, hope i would be there. Thank you for allowing me to comment. Is nice that such a event is taking place and devotees will feel encourage to do it namely chanting and dancing for the pleasure of Sri Caitanya Mahaprabhu and His associates. In the same time I feel little despondent because where is Harinama Sankirtana program in the World? Im talking about daily going out and perform Kali-yuga dharma following Srila Prabhuada instructions. I dream about this day when every Iskcon temple have Harinama Sankirtana department and this department is encourage, maintained and in this way is vital source for the Vaisnava community. It was the pure desire of their Lordships and Parivrajak Acaryas to spread the Holy name around the world for the benefit of all living entities. Hari and Harinaam is always there to protect the world. hare krisna... even these words are full of krisna consciousness n krisna's love, waiting to have the new updates and pics.. This year's Kirtan Mela was awe-inspiring! 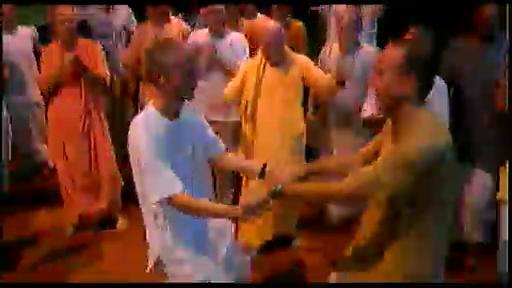 So many were able to dance to Hari Kirtan Dhun, even those who were far away from Mayapur. Thanks to the technical team for putting the Kirtan live on internet. The kirtan mela was the out of the world experience. Chanting the Holy names of the Lord in front of Naam Prabhu (Lord Mahaprabhu)and with the association of pure devotees inducing their devotion in our hearts, is a rare most opportunity which only most pious souls can get. A heartfelt thanks to the organizers. I am very happy with the way Kirtan mela turned up this year. I had not expected it to be so intense. I am very very fortunate that i could be a part of it through the mayapur.tv. I felt as though i was singing in front of Pancha tattva in Chandrodaya temple whilst being in Mumbai. The Kirtan mela gave a lot of energy , blessings and i got to learn many new tunes. 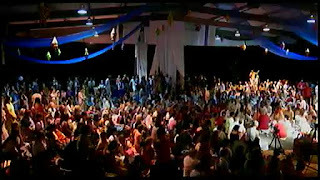 I am forever obliged to the devotees for airing it, to the kirtaniyas and all the devotees who were a part of Kirtan mela 2012. I pray to Haridas Thakur to give them enormous attachment to the Holy name.. Hari Haribol! i love kirtan ,i am apart of mayapur.tv last time,it is wonderous to be with kirtaniyas blooming witj energy in front of dieties, i would anticipate more such events like this,thank you for organizers for arranging such a beautiful event. to miss it to miss life!!!! 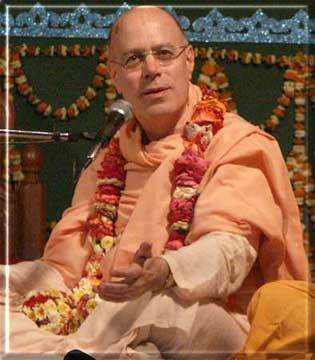 do we need to register for Kirtan Mela Mayapur 2014? Once you get here, if you register for Gaur Purnima festival, free registration, you will be given coupons vouchers for your meals. Kirtan Mela is part of Gaur Purnima festival.